BOSTON - It took the Washington Capitals 81 games to clinch a playoff berth. Once they squeaked into the postseason as the seventh seed in the Eastern Conference, the Caps drew the big, bad Boston Bruins, the defending Stanley Cup champions. No one gave them a chance to compete. And it was the best thing that ever happened to Washington. The Caps may not have known that they were even going to be in the playoffs until the bitter end, but the end of their Eastern Conference Quarterfinal series with the Bruins was anything but. 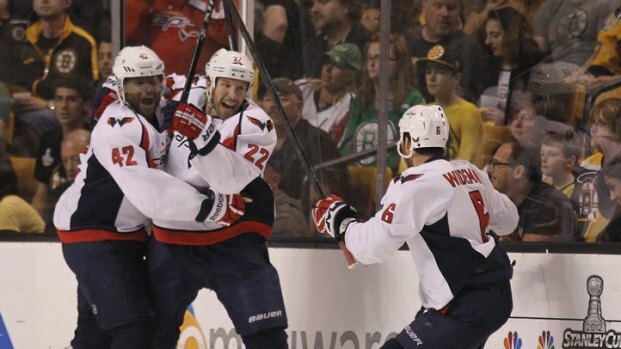 Joel Ward's series-clinching overtime goal sent Washington to the second round in a 2-1 Game 7 victory Wednesday. Joel Ward is the hero as the Capitals beat the Bruins and advance to the next round of the Stanley Cup playoffs. While Washington's series victory sends Washington to the second round for the third time in five years, it was the first time that this current Caps team entered the postseason as an underdog. The pressure was off of them; all they had to do was play. The series between Washington and Boston may have been historically tight (it was the first time in NHL history that every game of a seven-game series was decided by one goal), but the Caps were far from tense and it showed in their play throughout the first round. Now, they are headed to the Eastern Conference Semifinals because of it. Many had counted the Caps out months ago as they struggled to stay afloat in the Eastern Conference. They were hellbent on proving people wrong. A sold-out TD Garden filled with 18,000 incredulous and speechless Bruins fans was a good start. Though the Caps were rendered speechless themselves. "Unbelievable," Karl Alzner said. "We're so happy about it. There are some teams that it's great to win and you feel nice. And then there are some teams that you feel like this is the best thing ever. 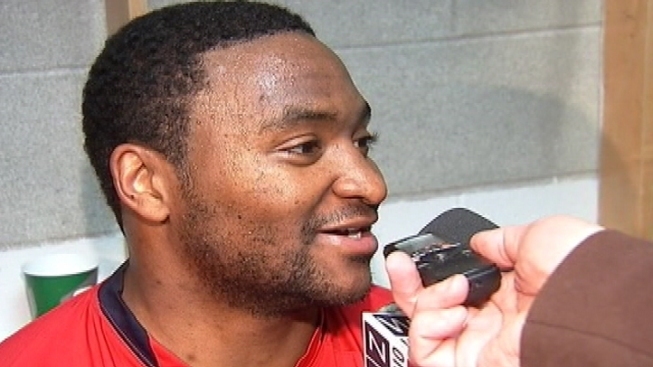 [Boston] is one of those teams."